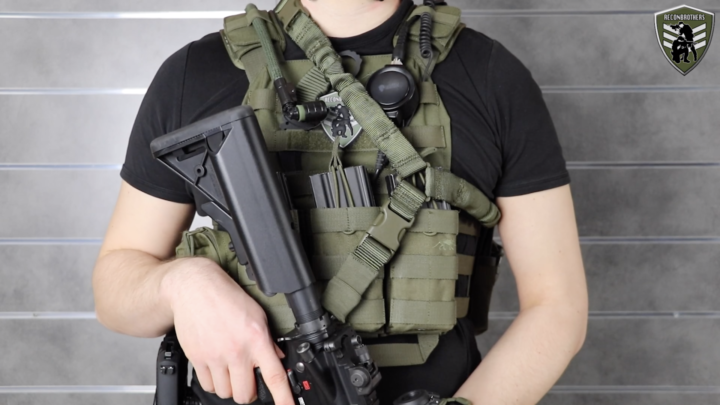 In this blog we will cover how to choose the best tactical gun sling (for airsoft & milsim). 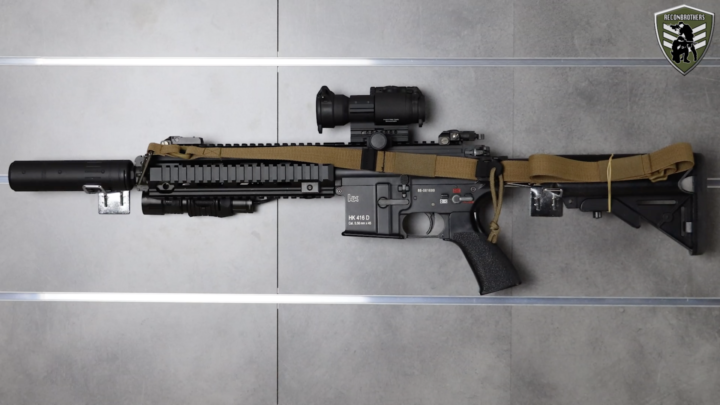 Today we’ll be talking about a tool that makes your real-steel rifle, training rifle or airsoft gun fully serve you right. 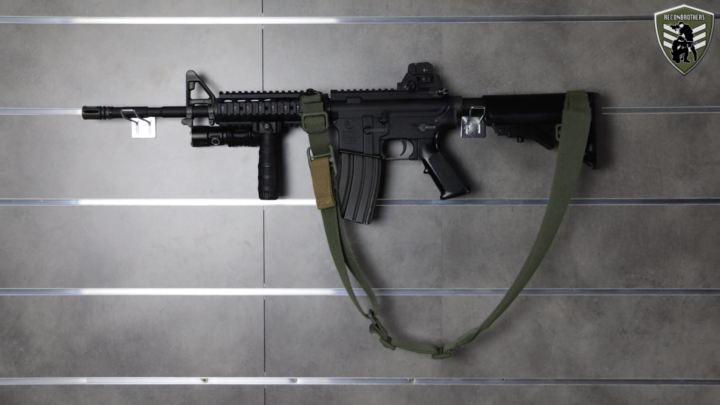 We’re talking about tactical gun slings. So today we’ll go over the different slings and discuss their features, advantages and disadvantages. 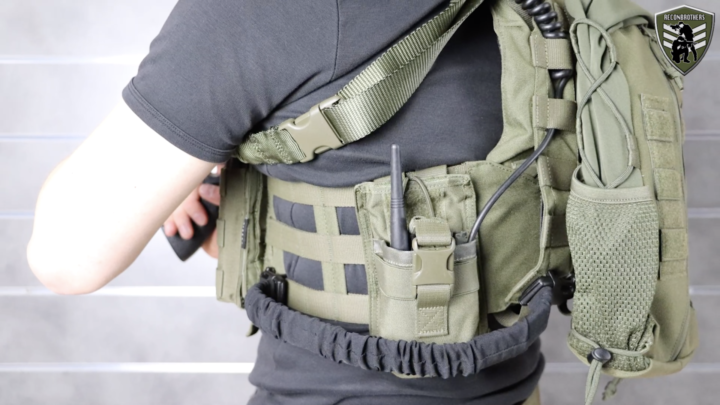 This so you can buy the best tactical gun sling for what you do with it. 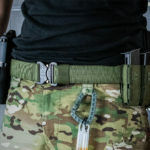 Why use a tactical gun sling? It reduces weapon weight by making you carry a part of the weight on your body. This is in most cases the shoulders. By doing so you reduce arm fatigue. It’s an easy weapon carrying tool to wear weapons on the body and allows to make the transition to your sidearm. It also allows to be carried up front or on the side to do some other stuff. Or you can also carry the weapon on your back to do some climbing. It can also function as a support tool to steady your aim and absorb recoil better. 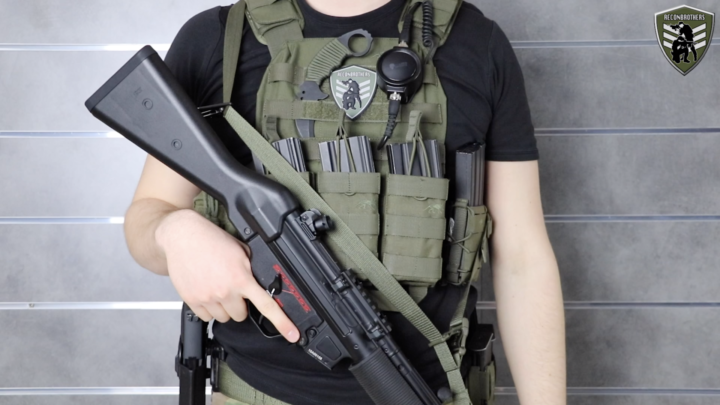 What kind of tactical gun slings are there? When it comes to slings, they can be divided in three main groups, namely; 1-point, 2-point and 3-point slings. 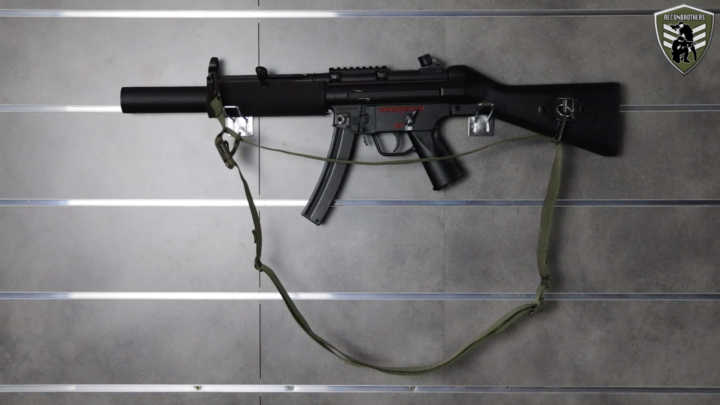 2-point gun slings are attached with two points. 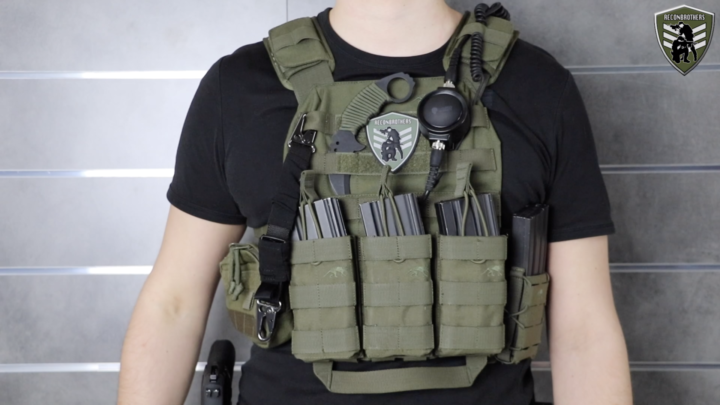 3-point gun slings are also attached with two points on the weapon but they have an extra loop to attach around the body. So, your body becomes the third point. 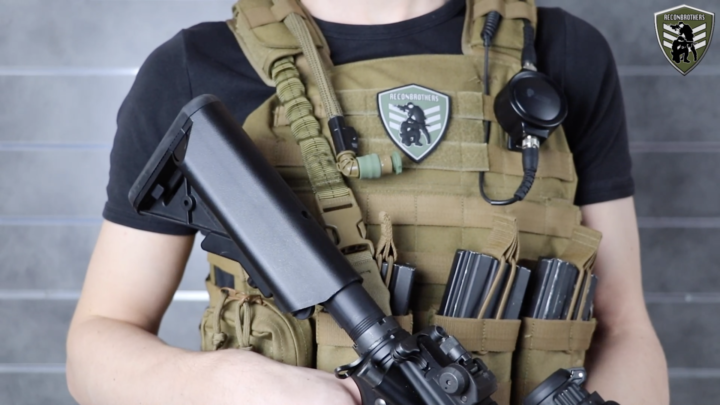 Now, what tactical gun sling to choose for your setup is up to you. But we’ll help ease your choice by going over their advantages and disadvantages. This way you get a better understanding of the thought process behind it so you can choose one that fits your needs. These provide the most freedom of movement because it is only attached to a single point on your weapon system. This means you can easily switch shoulders. 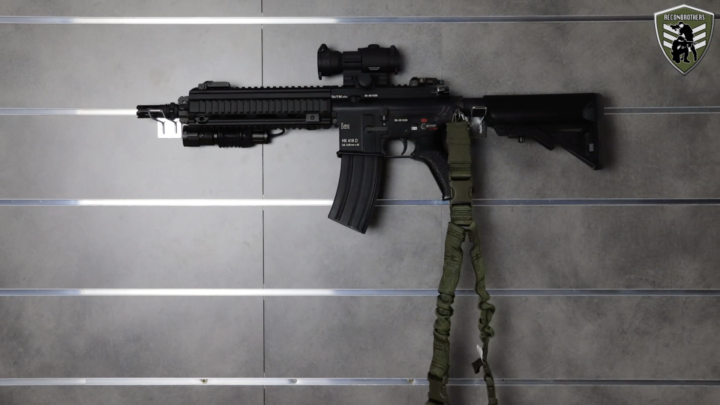 Which gives a great advantage for CQB environments. 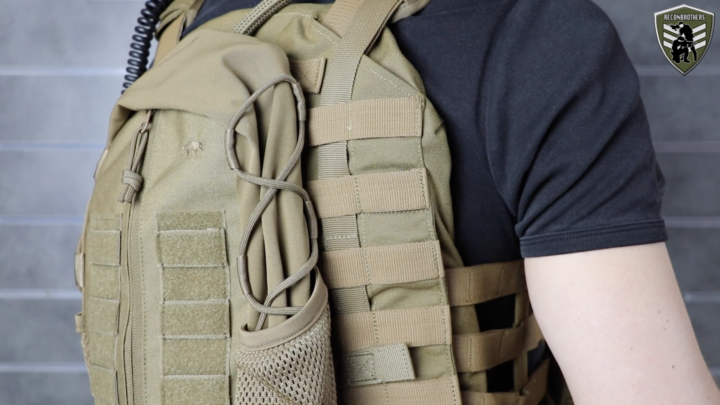 1-point slings are available with a loop or with a MOLLE attachment to carry it on the back of your vest or plate carrier. 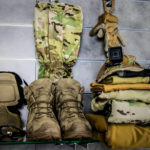 Keep in mind that when you choose the molle version, you will carry the weight on one shoulder. This can become very heavy over time. Now, the disadvantages start to show up when you don’t need your primary weapon and have to carry it with you. First off, doing a transition to your sidearm can already be problematic. This because releasing your weapon will make it naturally fall in your crotch area which is not a pleasant experience. 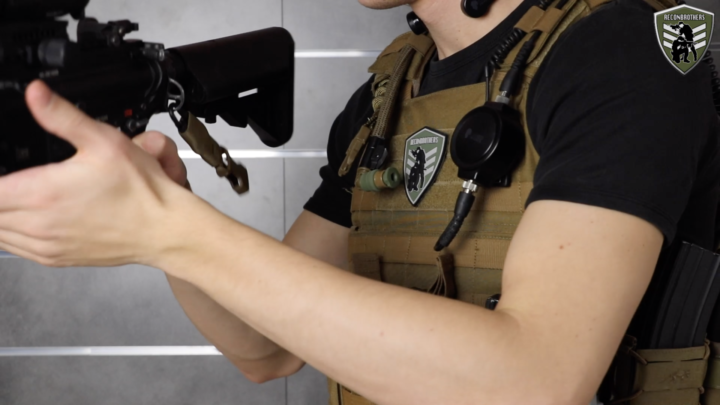 Secondly, when you want to move around hands-free or with your sidearm. Your weapon will start to swing around in all directions imaginable. So, this means you are already forced to use one hand to carry your primary weapon system while moving. Thirdly, you don’t have the possibility to put your gun on your back. This means you can’t do things like climbing a ladder for example. Due to all of this, we suggest using a 1-point sling only with short barrel guns. This will reduce the swinging as much as possible due to physics. But like anything there are solutions for all kind of problems. Including for the problems we just mentioned. 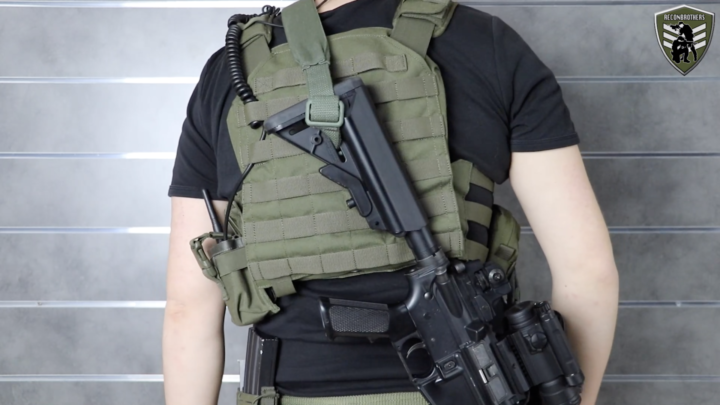 When this extra sling is fixed on the weak side of the shooter’s belt or the side of his carrier. Then it can be used as a sort of retention piece to holster your weapon. This means no more, swinging around, no more pain for your crotch, unlimited hands-free use and the possibility to do climbing and all that kind of stuff. 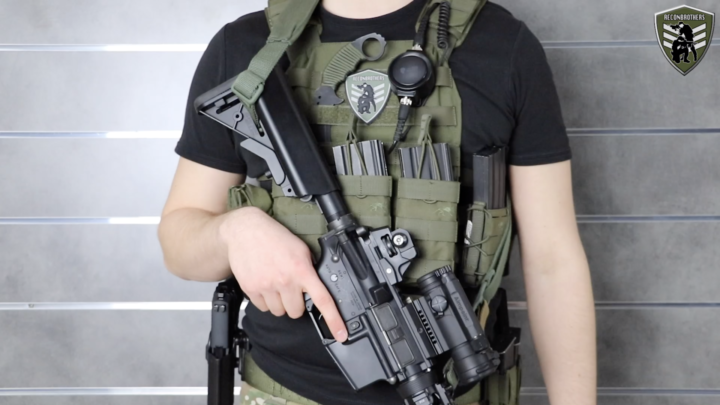 So, if you like the advantages of a 1-point sling and still want to have the ability to carry it around. Without it being a pain for your crotch of course, this is the way to do it. Another 1-point sling system for more concealed carry usage or easy usage in and around vehicles is a so called “tac sling”. This is meant to conceal submachine guns under a jacket or in back packs. 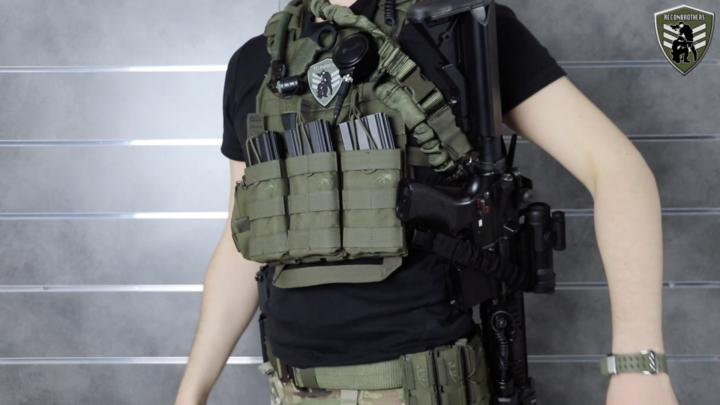 This sling also allows for a quick weapon draw capability. 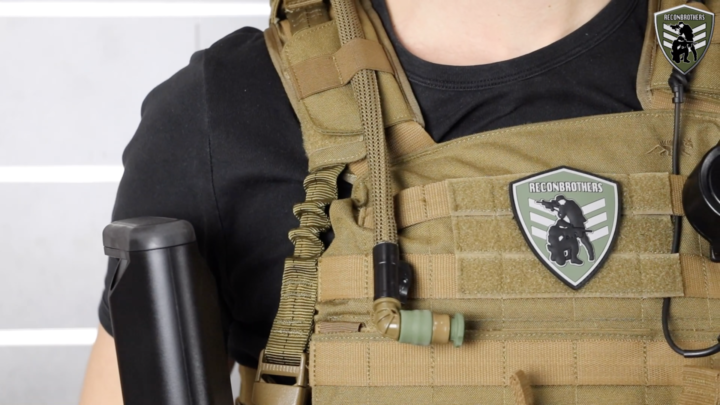 So, a 2-point sling has the advantages that it can be carried hands-free without your weapon swinging around. It allows your weapon to be carried on your back for climbing and all that kind of stuff. For primary to secondary transitions it naturally falls aside, so no more painful hits in the crotch area. 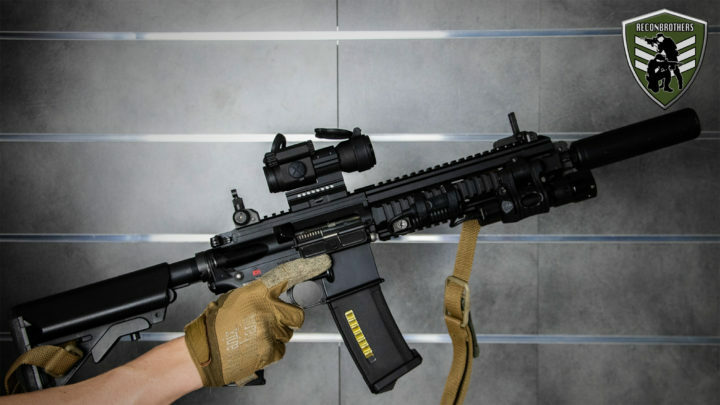 If you haven’t made your mind yet about the 1-or 2-point sling. There are also hybrid versions that allow to be used in both ways. This way you can try both ways and eventually find what works for you. When it comes to 3-point slings they are not commonly used anymore, nowadays. This obviously has to do with some reasons, let’s take a look at their advantages and disadvantages. Firstly, they allow for a lot of stable carrying positions that keep your weapon out of the way while moving. This even includes the so called “climbers carry”. 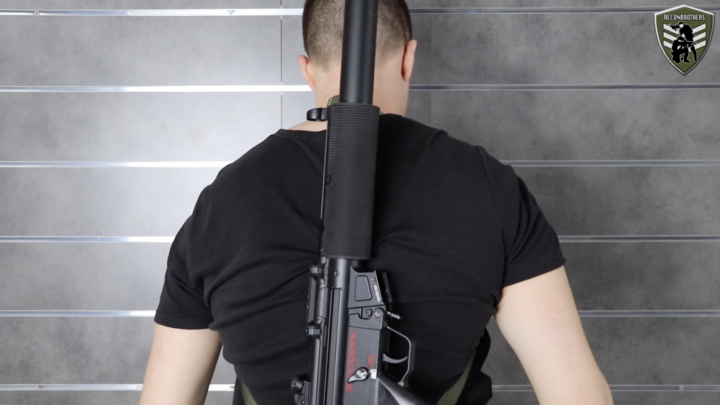 This carrying position gives you the ability to carry your rifle vertically on your back. 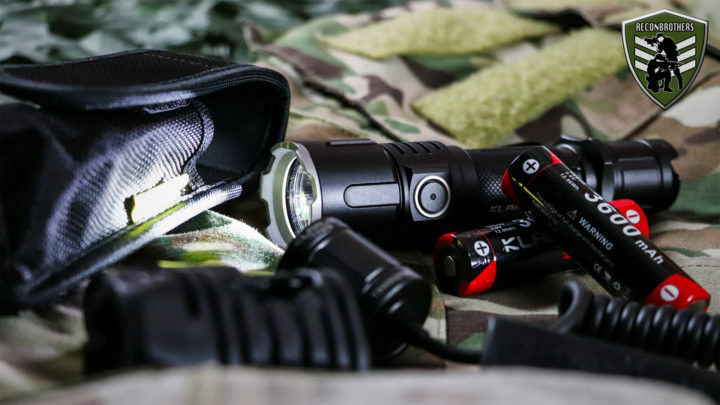 This makes it ideal for climbing or traveling situations. But, the thing is, they are not very practical when it comes to handling. They have a lot of material which covers up your controls and can cause weapon malfunctions. And when carrying radios, backpacks and all that kind of stuff makes you fight more with your 3-point sling than it actually helps you. You can also forget about shoulder transitions unless you look for a hybrid system that gives it the ability to become a 1-point sling. To put it in short words, the advantages just don’t add up to the disadvantages. And that’s why they are not being used that often anymore. Extra options for 1-point, 2-point & hybrid slings. One example is the padding and width of the sling. 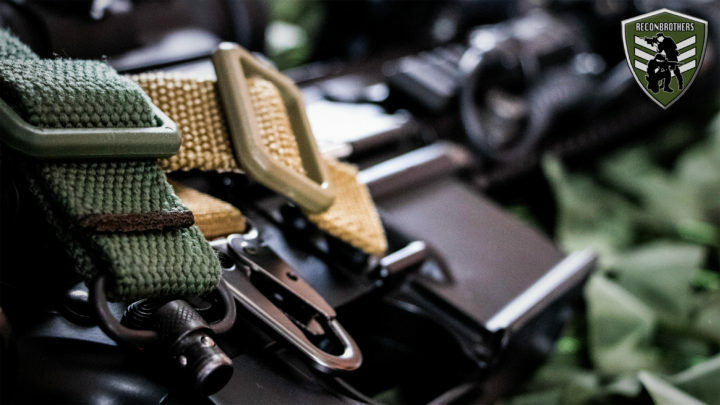 Padded or wider slings allow you to carry weapons for longer periods of time or carry heavier weapon systems. Because the weight is more dispersed over the shoulder. 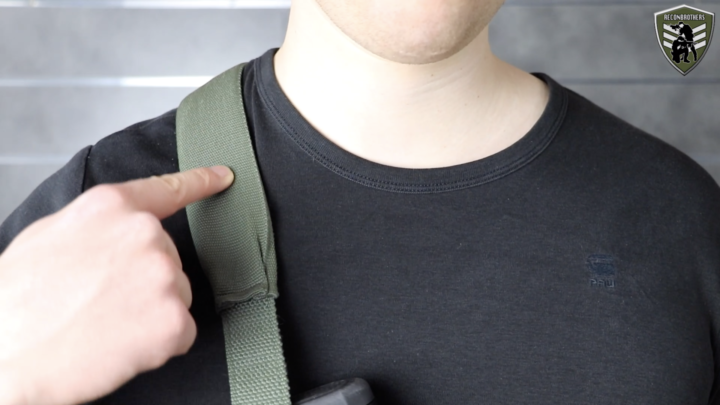 Slim sling designs tend to cut in your shoulder over time but give the ability to carry your sling with a rubber band on the stock. For when you temporarily don’t need it and want to put it aside you in a vehicle for example. Another very common option is the use of pieces of bungee cord in the sling. 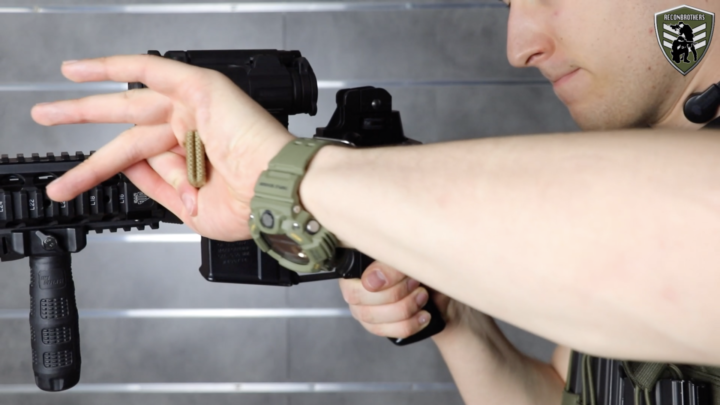 This functions as a way to push your weapon into your shoulder for a more steady shot and maximize recoil management. Also quick-release systems have become a very common option for 1-point slings. 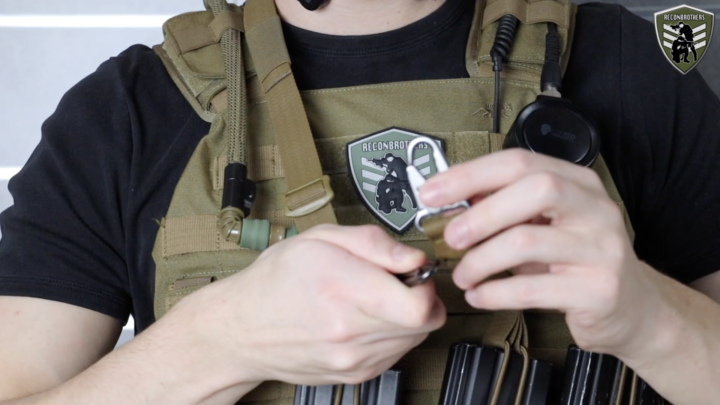 This allows you to quickly release your weapon from your body by simply detaching a buckle. 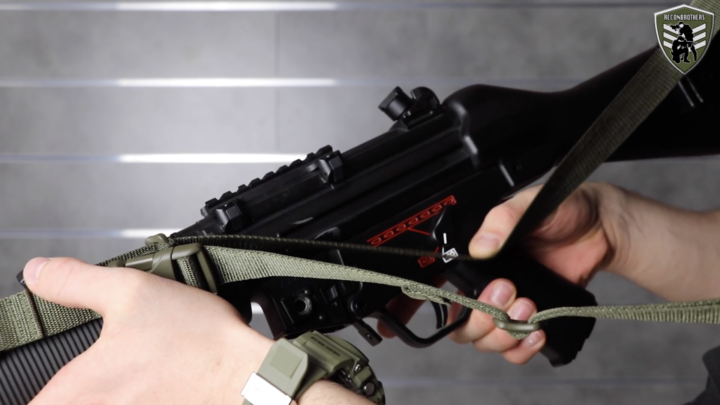 For two-point slings there’s also another option that allows it to be quickly adjusted in length. This is done for various reasons. Shortening a sling as close to the body as possible makes it very stable to move around with. Adjusting the length quickly also allows you to push the stock into your shoulder to make a more steady shot and better recoil management. 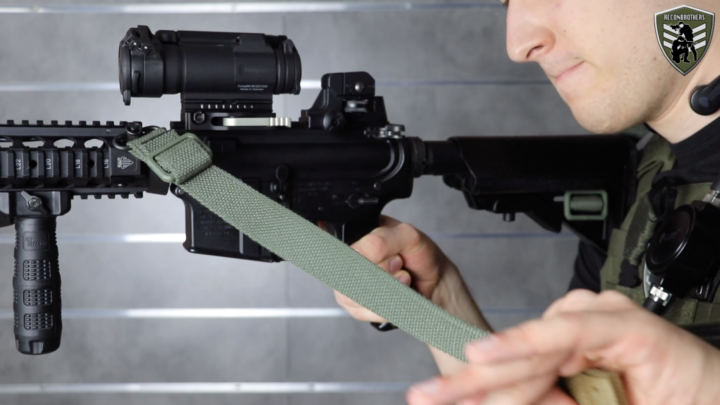 Making your sling longer, gives you the ability to use it in a prone position or when aiming for something up high. So, this is what’s generally available nowadays. Hope you learnt some stuff that helps you out in choosing your best tactical gun sling. Let us know in the comments what sling you currently use and subscribe to read/watch more of our blogs/videos.